I've problem with configuration my Intelli Idea. Looks very strange, I can't reproduce it with your project. This happen after compile. To repair this I've to click on event log first. I've other problem now. Did you ran tests from my project, how to do it? 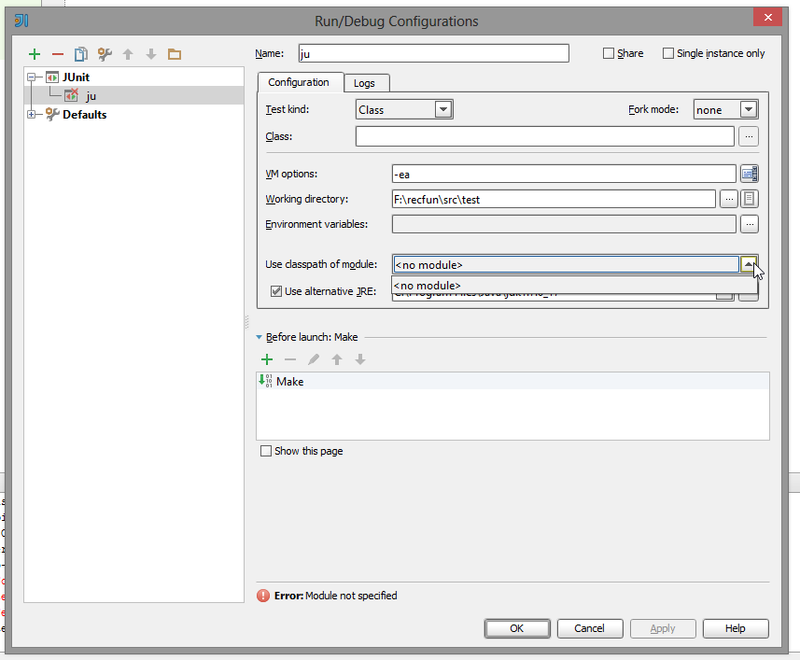 I can't use JUnit, because when I try to set class from /test/scala/recfun directory I get fx. "BalanceSuite is not acceptable". Maybe should I use ScalaTest, but I've error: ScalaTest not specified. Where in JI can I set path to ScalaTest library? I added ScalaTest library to your project, after that I was able to run JUnit or ScalaTest (both worked). You can add ScalaTest library manually by downloading from the official site and attaching appropriate jars to your project (Project Settings -> Modules -> Dependencies). However it's better to use Maven to generate and use your IDEA project. There is no ScalaTest auto-detecting and attaching feature yet in IntelliJ IDEA.